The UAE has affirmed full solidarity with Saudi Arabia against all attempts to undermine its regional stature and fundamental role in establishing regional peace and security, said a senior UAE government official. 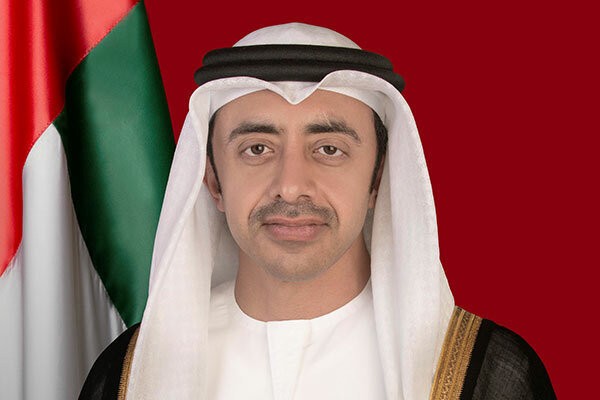 Sheikh Abdullah bin Zayed Al Nahyan, Minister of Foreign Affairs and International Cooperation, expressed profound appreciation for the distinguishing position of the Kingdom as a major power ensuring security and stability in the Arab and Muslim worlds, commending all the constructive initiatives and policies adopted by the Kingdom to underpin regional and international peace and development. Sheikh Abdullah reiterated that the UAE’s support for the Kingdom in weal and woe stems from the true brotherly bonds between the two countries, noting that the fierce and politicised campaign led against the Kingdom ignores the constructive and reasoned policy of Saudi Arabia. "The anti-Saudi campaign will not impinge on the Kingdom’s central role in the region which is rooted in logic and moderation," he said. "As necessity now arises to clarify the facts associated with this crisis in a neutral and honest manner, we reaffirm our categorical rejection of the repercussions of the politicised anti-Saudi campaign." Sheikh Abdullah reiterated the UAE's unequivocal stance with Saudi Arabia in whatever policies it sets and tremendous efforts it exerts to counter the various risks and threats besetting the international community, particularly extremism and terrorism.